Following the VCSE sector’s development last year of its Vision for the Transformation of Health and Well Being for Trafford’s Residents, the next Trafford VCSE Strategic Forum event will provide an opportunity hear about progress made, receive updates from key partners, and have your input into the latest VCSE sector led developments in the Borough. 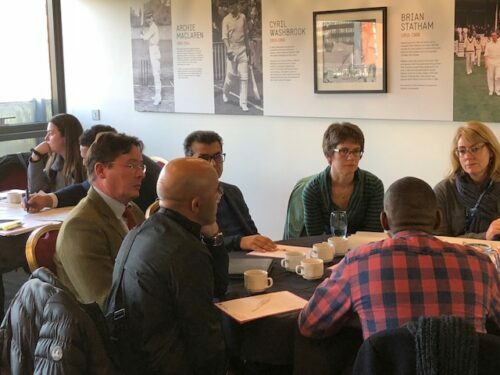 Over the past year, the Local Care Alliance (LCA) has been established and the Transformation of Health and Social Care in Trafford has been progressed, including integration between NHS Trafford CCG and Trafford Council. It has been recognised that a more effective way is needed for engagement between the public and VCSE sectors, and to help in delivering a more person centred and community-based approach to health and well-being. The VCSE sector in Trafford represents a huge resource, collectively making a significant contribution across the Borough, working closely in our communities and often supporting those in greatest need. At the Event, we will hear from key partners in the LCA about progress with Transformation planning and the integration of health and social care in Trafford. There will be feedback on how the sector has been engaged over the last year and an update from the VCSE sector about its development of a Trafford VCSE Health and Well Being Collective, which will provide a model for co-production between the VCSE sector and public sector partners in the design, decision making and delivery of services across Trafford. The event will also include proposals for a VCSE led approach to Social Prescribing in the Borough, including the VCSE sector’s role in co-ordinating and supporting vulnerable and socially isolated people into voluntary and community sector activities. We hope that you will be able to make it to this important event for the VCSE Sector in Trafford and have your voice heard and provide your input. Please register for this Thrive Trafford event to confirm your attendance by Clicking Here.